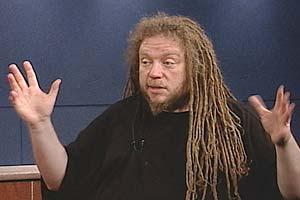 Virtual reality dude Jaron Lanier doesn’t believe in the nirvana of open-source development. He got attacked for this position at a conference. See his argument here in a Discover magazine headlined, “Long Live Closed-Source Software! There’s a reason the iPhone doesn’t come with Linux.” Jaron cites the iPhone as an example of the beauty and perfection that can only be created in a closed-source environment, and suggests that while open-source is fine for making knock-offs, it’s not so good at fostering creativity and innovation.